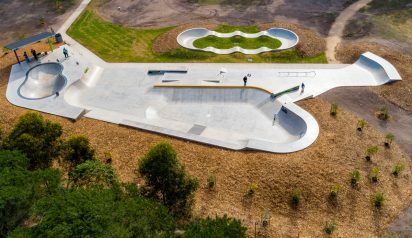 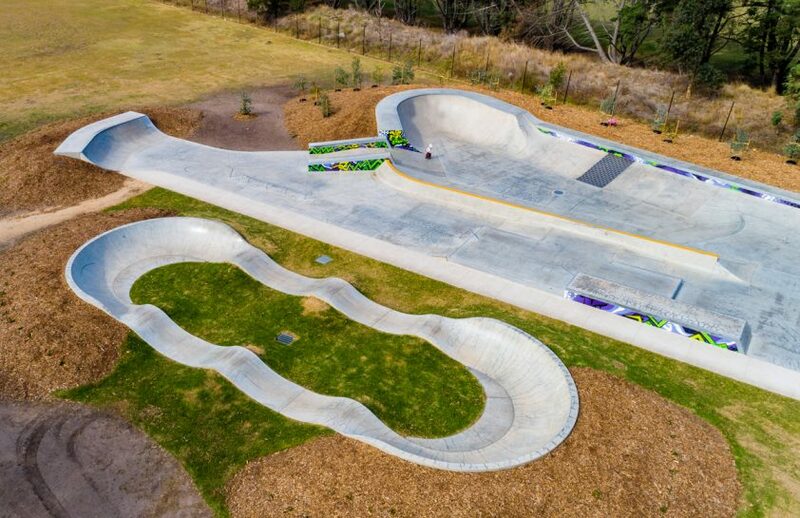 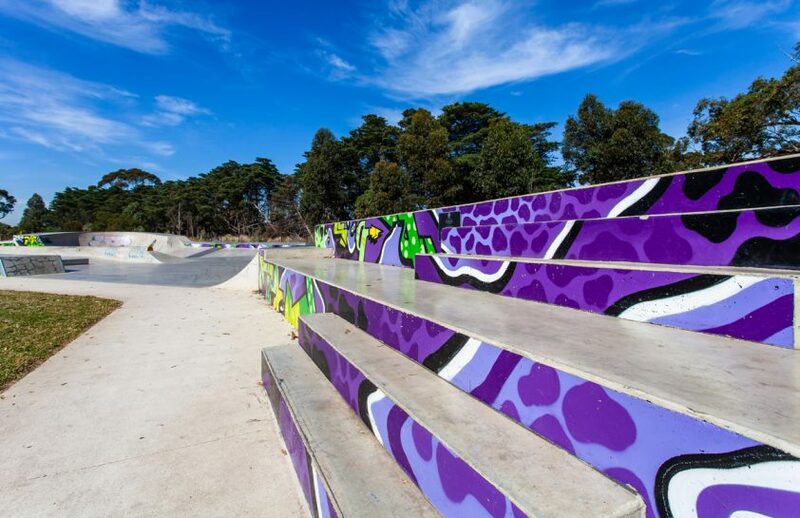 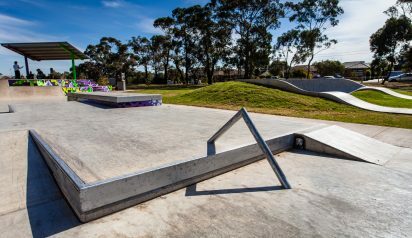 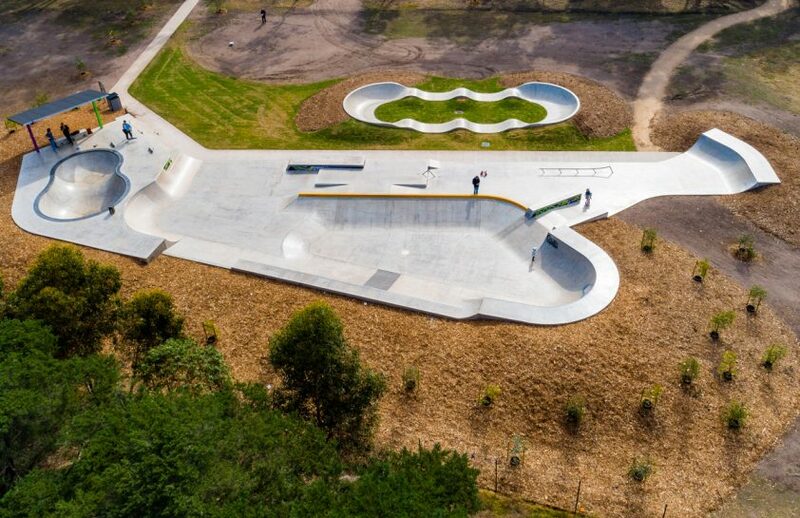 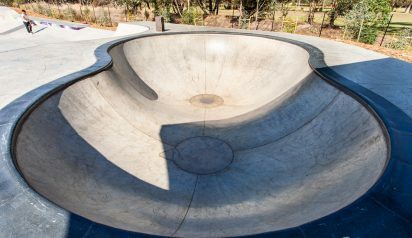 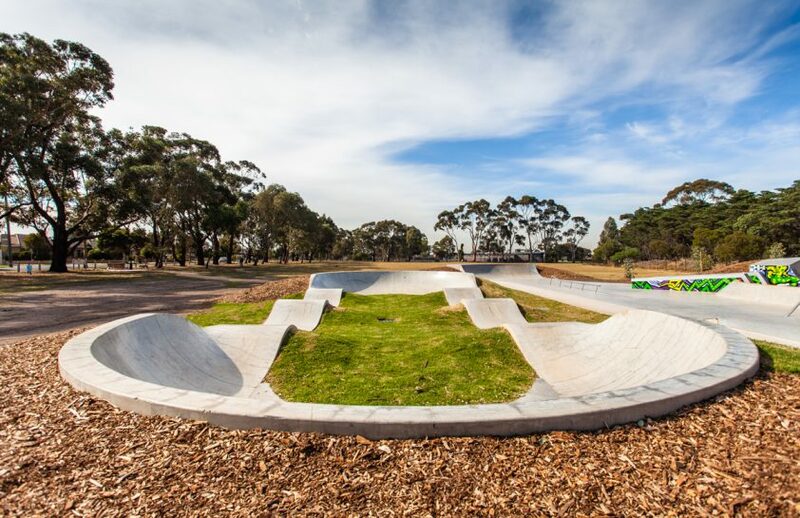 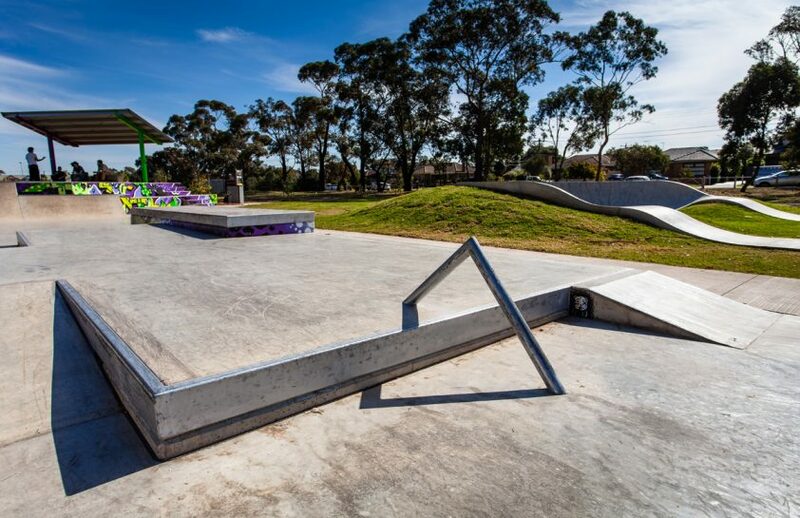 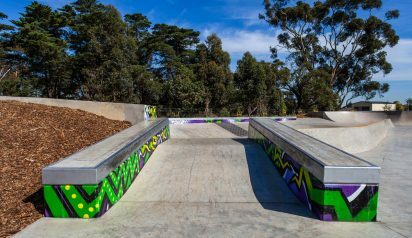 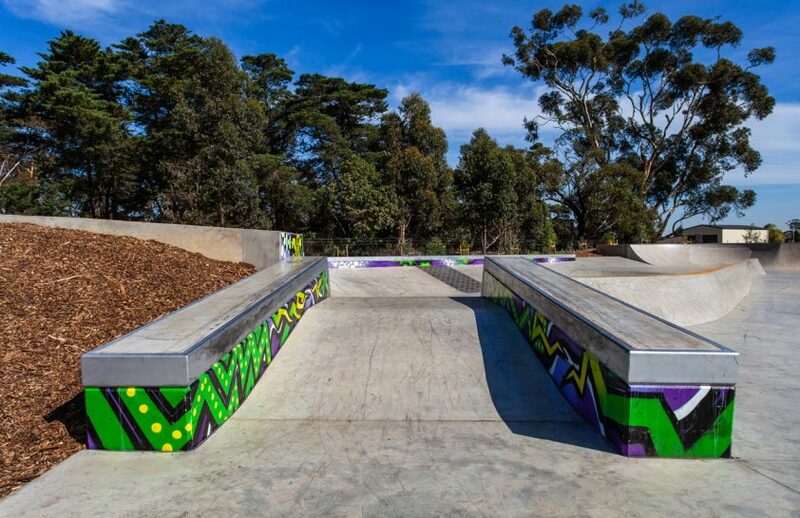 Centrally situated, to the north of the Melbourne CBD, the Glenroy Skate Space was delivered with the intention of providing a creative and unique skate experience from any other park across the wider Melbourne region. 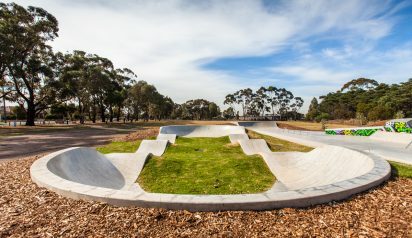 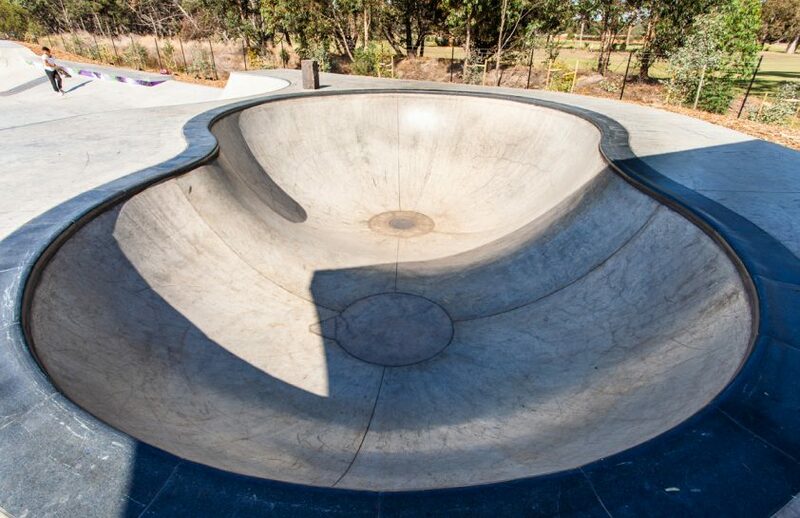 Highly favoured features of the design as defined through community consultation include; an intermediate level ‘peanut’ bowl and a ‘drain’ style central area, both inspired by the traditional backyard pool and drain skating roots of 80’s skate culture. 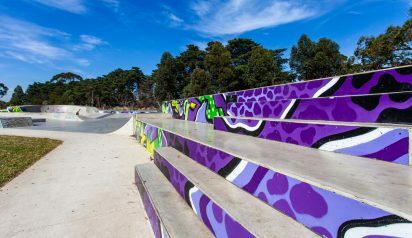 In addition, the park features a beginner pump track. 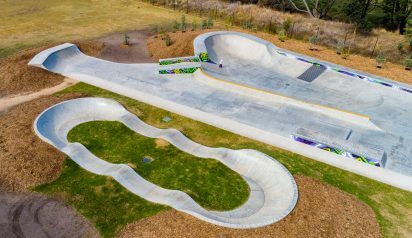 Overall perhaps the most significant aspect of the design is its capacity to cater for street, pump, bowl and drain style users within a limited space.